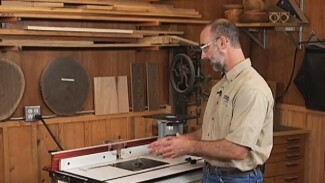 George Vondriska provides instruction on how to set up a router table to use a one piece tongue & groove bit for your woodworking projects. A WoodWorkers Guild of America (WWGOA) original video. 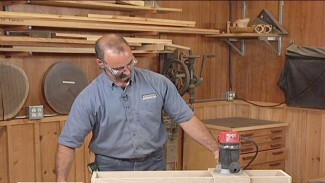 Master woodworker George Vondriska demonstrates the process of turning a cylinder for your woodworking projects by using a router. A WoodWorkers Guild of America (WWGOA) original video. 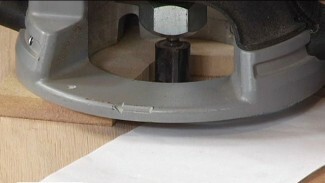 Master woodworker George Vondriska shows you how to avoid sanding through the veneers on your woodworking projects by using a router to trim edge bands. A WoodWorkers Guild of America (WWGOA) original video. Tapering legs on all four sides is pretty straight forward, if you have the right jig setup. But the real trick is getting the fourth side tapered at the proper angle. 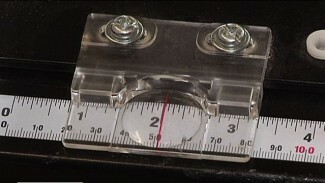 George Vondriska reveals a shop trick that will help you to taper legs in no time. A WoodWorkers Guild of America (WWGOA) original video. 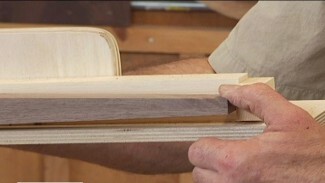 Master woodworker George Vondriksa provides tips on setting the depth of a cut on a jointer for your woodworking projects. A WoodWorkers Guild of America (WWGOA) original video. 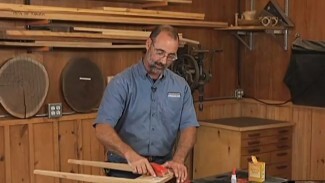 Bruce Kieffer is a professional furniture maker who always wants his tools to be as accurate as possible. 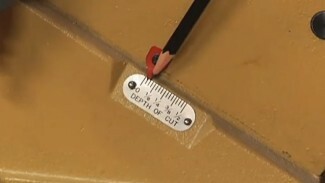 In this clip, he demonstrates his woodworking technique for calibrating his table saw fence so you can make dead-on cuts every time. 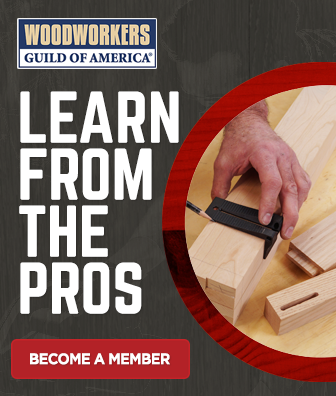 A WoodWorker Guild of America (WWGOA) original video. Side panels on stools look great with a taper in the front and back, but cutting both tapers so they are the same profile can be frustrating. 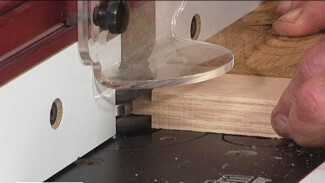 George Vondriska shows you how to build a taper jig for cutting a double taper on the table saw. A WoodWorkers Guild of America (WWGOA) original video.